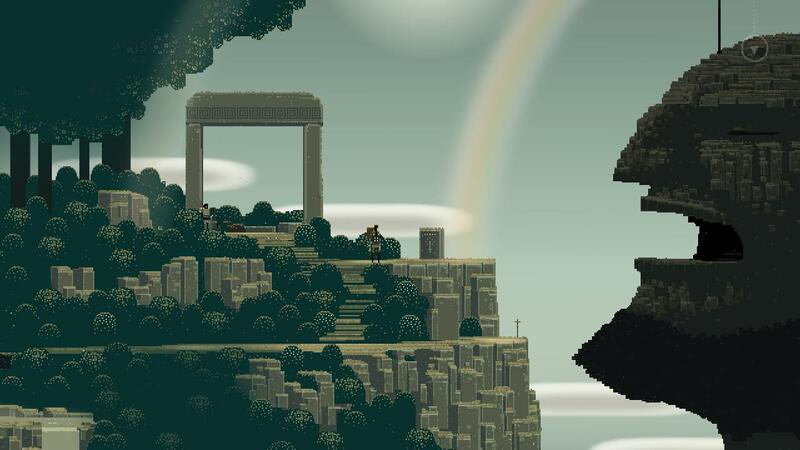 Capybara Games and Superbrothers Inc have announced that Superbrothers: Sword and Sworcery EP will soon see release on Nintendo Switch. This old-fangled mythopoetic journey offers an exploratory adventure that places an emphasis on audiovisual style, in which you must guide a wandering warrior monk to reunite The Trigon Trifecta and complete her woeful errand. That will take you on a laid-back adventure through a bronze age mountain wilderness, a mythic realm will come to rely on your sword to overcome occasionally hard-hitting battles and ‘sworcery’ to solve mystical musical puzzles. Whether choosing to use the touch screen in Handheld mode, the Joy-Con to point-and-click or the Nintendo Switch Pro Controller, the developer has your choice of interaction covered. Superbrothers: Sword & Sworcery EP will release on the Nintendo eShop for Nintendo Switch worldwide in October.